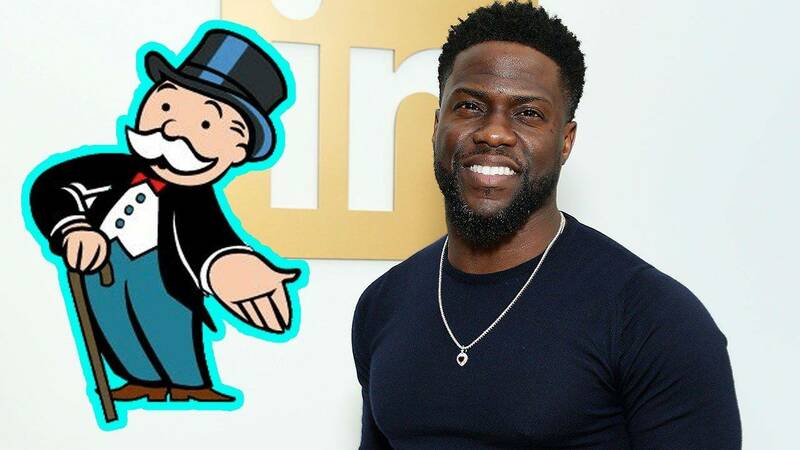 Kevin Hart's next big project is passing "go" (and he's likely set to collect a whole lot more than $200)! The comic actor took to Instagram on Thursday to reveal he'll be starring in the upcoming feature film based on the decades-old board game Monopoly. "Let's gooooooooo @timkstory ....We got work to do damn it!!!!!" Hart captioned a side-by-side picture of himself and director Tim Story, who has worked with Hart numerous times in the past on films like Ride Along, Think Like a Man and several of Hart's comedy specials. "Still grinding with the attitude of an individual that hasn't accomplished anything yet," Hart added. "Let's gooooooooo." The actor's company, HartBeat Productions, is set to produce the film in association with Hasbro's Allspark Pictures label, responsible for past blockbusters such as the Transformers franchise, Battleship and the G.I. Joe series. Hasbro Studios are reportedly in the process of developing several other movies based on games and toys including Clue, Micronauts and even Play-Doh. Monopoly is Hart's latest in a long line of announced projects starring the embattled actor, who has been refocusing on his film career following the high-profile Oscars drama that went down last December. That's when Hart, one day after announcing he'd be hosting the Oscars, stepped down from the job due to controversial past tweets that resurfaced and led to widespread pushback against the comic. ET recently caught up with Hart at a special New York fan screening of his recent film, The Upside, and he opened up about his plans for the future and for keeping busy in the wake of the Academy Awards fallout.